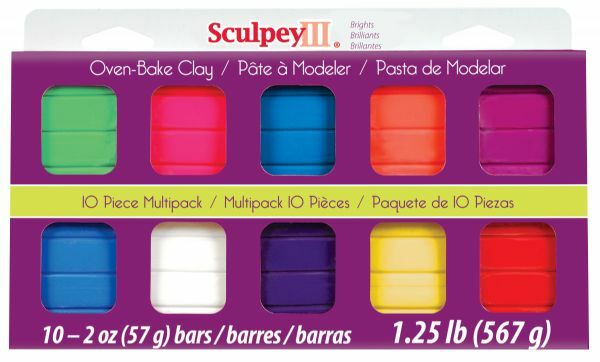 Sculpey III is soft and ready to use right from the package. Stays soft until baked ? start a project and put it away until you?re ready to work again and it won?t dry out. Bakes in the oven in minutes. This very versatile clay can be sculpted rolled cut painted and extruded to make just about anything your creative mind can dream up!